I Used to be in Pictures: An Untold Story of Hollywood is an exquisite, glossy homage to the Golden Age of Hollywood. A book that every lover of the ‘golden era’ of film-making should have on their coffee table. Comprising a selection of unpublished essays written by British-born twin brothers, Austin and Howard Mutti-Mewse, who made it their mission as teenagers to befriend once famous stars. The book has a hugely unique angle: each one of the essays deals with lives lived when the cameras stopped rolling, including the loss of fame, fortune and false friends. The brothers were so entranced by black and white movies when growing up, that by the age of 12, they began to write fan letters to their idols; beginning with Lillian Gish, followed by another to Douglas Fairbanks Jnr. Soon they began receiving not only colourful responses, but invitations to visit Hollywood, Palm Springs, Malibu, Glendale and Santa Barbara, to take tea with their correspondents, who all shared the same delight at being remembered. Pen pals such as Bette Davis, Marlene Dietrich, Frank Sinatra, Gene Kelly and Elizabeth Taylor feature alongside lesser known players such as Jean Rogers – the original Dale Arden to Buster Crabbe’s Flash Gordon or Anita Garvin, a comedienne who regularly starred alongside Laurel & Hardy. All of them eager to share their respective tales of Tinseltown. Long after the demise of the Hollywood studio system, this is a fascinating book about celebrity before the word ‘celebrity’ was even coined. Illustrated with signed glamour shots, together with more candid shots from a bygone age: at home, on set and after dark, it really is a relevation to all those wonderful people out there in the dark. 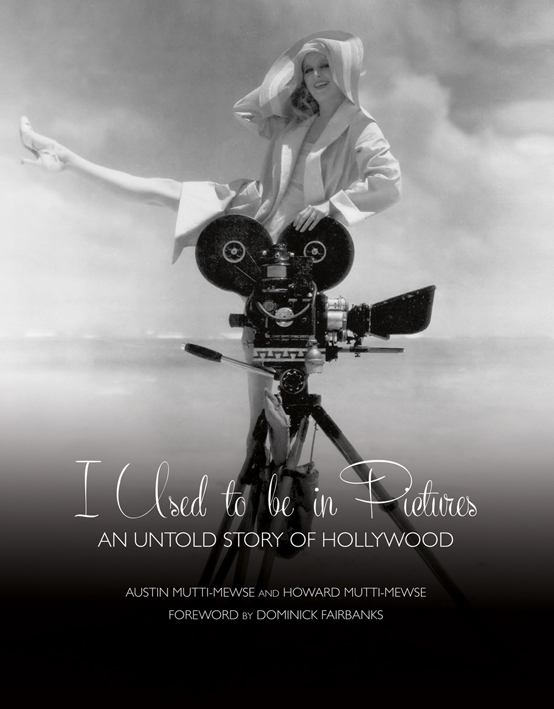 I Used to be in Pictures: An Untold Story of Hollywood by Austin and Howard Mutti-Mewse is published by ACC Editions and is priced at £35.00. To purchase a copy please visit: www.accpublishinggroup.com or purchase here from Amazon.